Why sell your Estate, vintage and antique gold jewelry to a jeweler? 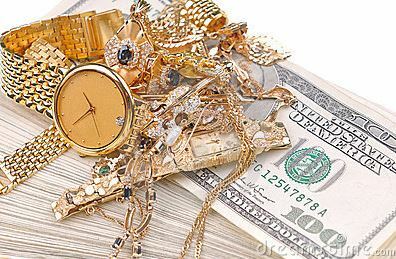 There are many different ways to sell your gold jewelry and coins: online, pawn shops, gold stores and at your jeweler. You’ll tend to get the most value at your local gold buyer jeweler — up to 70 percent of the gold’s value. Rather than just offering you cash for the gold itself, your jewelry buyers will pay you more for well-crafted jewelry they can resell. Jewelers especially value Estate, vintage and antique gold items and will pay extra for unusual and unique jewelry pieces that stand out. Gold is one of the few assets that is infinitely recyclable. "We are one of the greenest industries around," says Cecilia Gardner, president and CEO of the Jewelers Vigilance Committee, a nonprofit effort to ensure industry ethics. "Gold has been recycled since ancient times. Once gold comes out of the ground, it never goes back in. It’s used over and over again." Most gold items can be resold because they can be melted down and reused. The amount of gold in jewelry is measured in karats, with 24 karats indicating solid gold. Jewelery with less than 24 karats contains a mix of gold, other metals and hardening agents. The gold content within jewelry is usually the only aspect of value. Most gold jewelry is marked with its gold content, being the first indication of its worth. If a buyer intents to melt the gold down for resale, the less gold content within the piece, the less its value. When you buy gold jewelry in a store, you are paying for the gold, the precious/ semiprecious stones as well as the design and craftsmanship. Estate, vintage or antique jewelry may have more value than just gold for recycling because of its unique design and workmanship. This is a good reason to consider selling your gold jewelry to a jewelry buyer as opposed to other sources. It is always good practice to have the piece appraised before selling it. Great examples of pieces of jewelry to sell would be heavy gold chains and bracelets that were popular men’s items in the 1970’s. They have substantial gold content and can be melted down so have a good resale value. If you are dealing with a jeweler, check that they are members of the Jewelers of America or the American Gem Society. These organizations advocate for ethical standards in the jewelry industry. For excellent prices on your jewelry please visit Andrews Jewelry Store in Centennial Colorado. We are Estate jewelry buyers, Diamond buyers, Gold buyers and engagement ring buyers and service Centennial CO and Littleton CO.